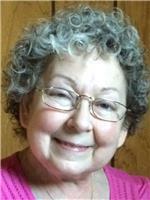 Lee Marie Fandal, age 64, passed away peacefully on Monday, September 3, 2018 in Fort Worth, Texas surrounded by her family. Lee was born on June 9, 1954 in Baton Rouge, Louisiana and was a resident of Slidell, Louisiana for over 25 years, before spending the last 4 years in Fort Worth, Texas. She is survived by her father, Robert Young; godfather, Reverend Gerard Young; daughters, Marie (David) Burshears, Frances Fandal, and Julie (David) Mathews; siblings Joan (Greg) Mattson, Denise (Terry) McDonner, and Mark Young; and grandchildren, Caroline, Collin, and Bethany Burshears. She was preceded in death by her husband, Guy Fandal; and her mother, Dora Young. Relatives and friends are invited to attend the Memorial Graveside Inurnment Services at Crow Cemetery - St. Tammany Community Cemetery in Lacombe, LA on Saturday, September 15, 2018, at 10:00 am. Arrangements by Honaker Funeral Home, Inc., Slidell, LA.